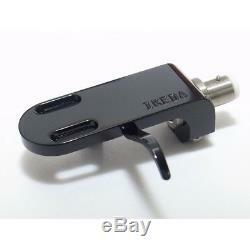 IKEDA Sound Labs Head Shell IS-2TB Terminal Area Titanium Model Black From Japan. It is a thick heavy beauty product which precisely cuts out the aluminum alloy with a high rigidity head shell that takes over the heavy and unique shape from the FR era. Its own weight of IS-2T (B) is 20 g, and titanium alloy was adopted as a connector part, so it is very excellent in vibration, resonance, resonance. The lead wire is made of 6N copper, and the contact point is Rhodome plating. IS - 2T (B) is buffed and finished beautifully. The connector part slides to about 3 mm, and at the same time, it is fixed further with the M2.6 common screw, and earthing is also thorough measures against noise. Attached lead wire: ISL-2 (OFC / 6N copper hybrid). Overhang adjustment: 2 points, 10 mm. Left and right tilt adjustment: Enabled. Accessories: Mounting screw / nut, hex wrench. We can accept retune within 30 days after you receive it. No retunes on products that show any evidences of use. A specialty shop offering a wide variety of carefully selected Japanese brand items. Even if you think to yourself, But the item I want is only available in Japan. , make sure to consult with us before giving up hope. We will look for and suggest the best products on your behalf. International Buyers - Please Note. The item "IKEDA Sound Labs Head Shell IS-2TB Terminal Area Titanium Model Black From Japan" is in sale since Tuesday, February 6, 2018. 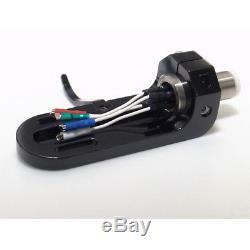 This item is in the category "Consumer Electronics\TV, Video & Home Audio\TV, Video & Audio Parts\Record Player, Turntable Parts". 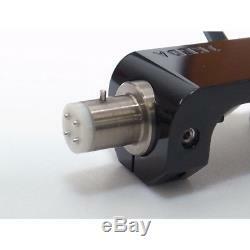 The seller is "japanproductshop" and is located in Chiba.